The Michael Jackson empire looks as if it's getting ready for the inevitable posthumous cash-in. 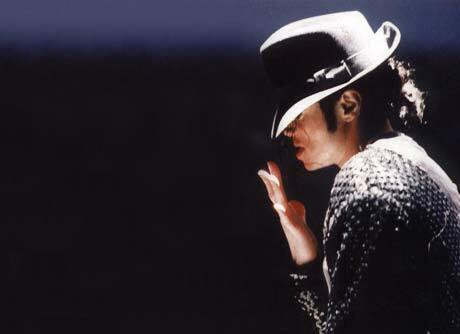 Already, the rehearsal documentary This Is It is heading our way and now so too is Michael Jackson: The Remix Suite, an album of big-name remixes from Jackson's back catalogue. Among those reportedly involved are Q-Tip, Ryan Leslie, Polow Da Don and Tricky Stewart. The Neptunes have also contributed their remix of the Jackson 5 stand-out "Never Can Say Goodbye." According to a report from MTV, the song features Pharrell's ad lib, "This is my mom's favourite record... I hope you don't mind me doing this." There's also a chance that Blink-182 bassist Mark Hoppus will be involved, as earlier this week he Tweeted: "super stoked!! motown dug and accepted the remix of the Jackson 5 song 'ABC' that i did with @HolmesWasHere. more info as soon as i have it!" MYV reports that the songs from Michael Jackson: The Remix Suite will be released digitally over the next few months and then be compiled on an album on October 27 via Universal Motown.